Disclosure: This post is sponsored by Barilla. Thank you for supporting our work here at Food Heaven! Can we talk about 2018? It feels like just yesterday I was celebrating New Year’s Eve in Joshua Tree. Then I blinked and it was basically Thanksgiving. As my 11-year-old nephew would say: SERIOUSLY? Time flies. But we already knew that. The good news is there is a silver lining in all of this … and it’s the food. It’s always the food. Thanksgiving is a chance to enjoy those classic comfort dishes and — if you’re feeling creative — put a spin on some old favorites, which is exactly what we did here. 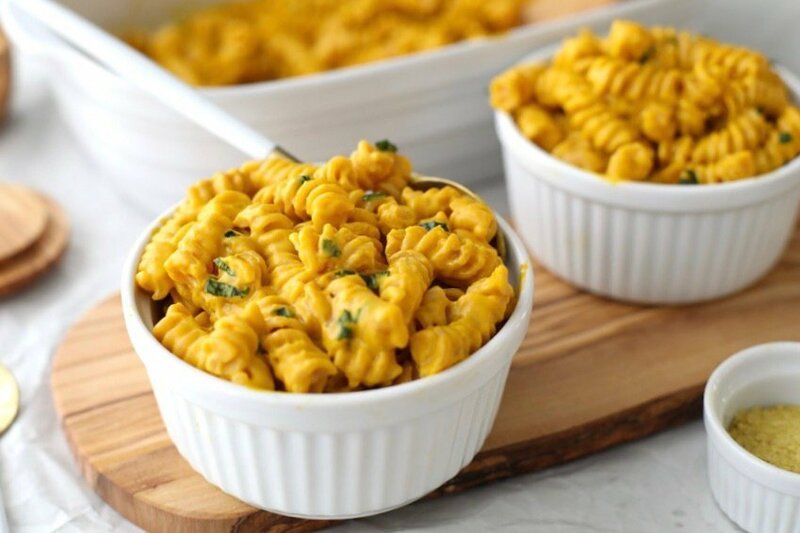 Say hi to our extra creamy vegan butternut squash “mac and cheese” made with Barilla Chickpea Rotini. 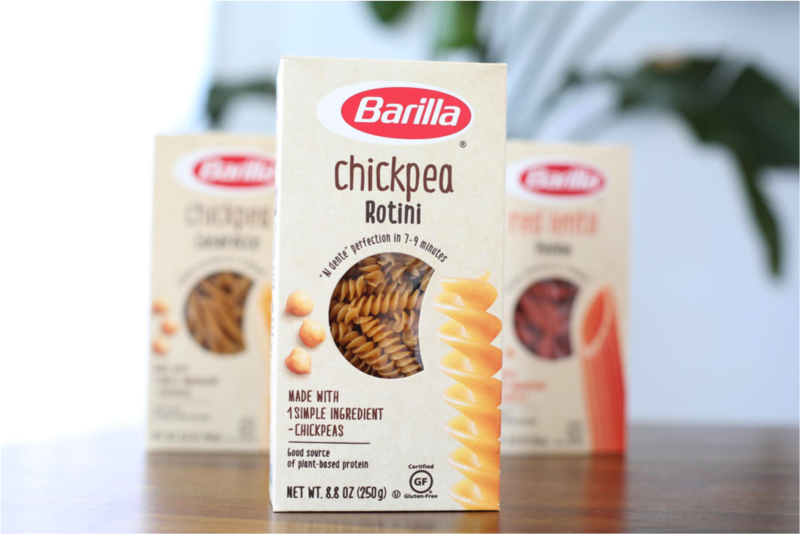 We partnered with our friends at Barilla — an Italian food company that makes pasta and sauces — to create a series of dishes using with their new gluten free legume pasta line. 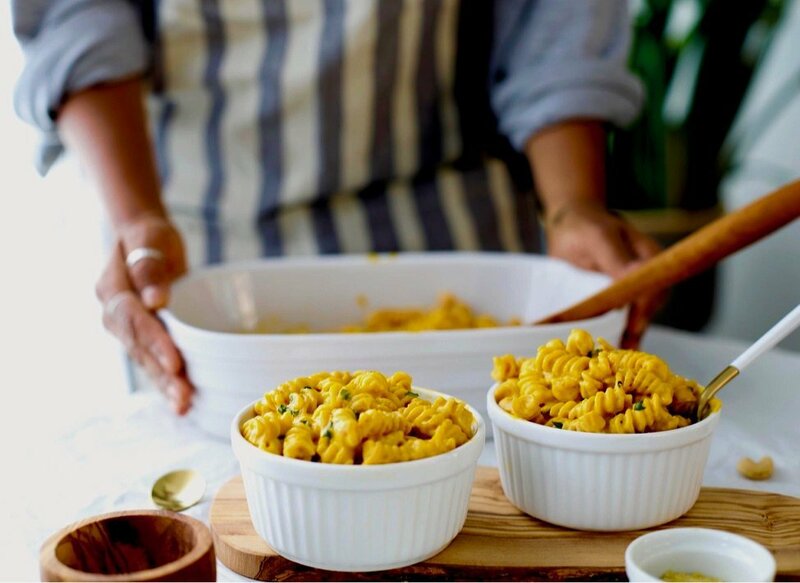 Our favorite part about the line is that all the pastas are made with just ONE simple ingredient: chickpeas or red lentils. The chickpea rotini? Just chickpeas. 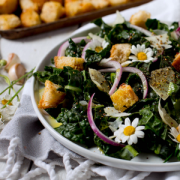 Because real food and whole ingredients are what makes life worth living (that and plants). 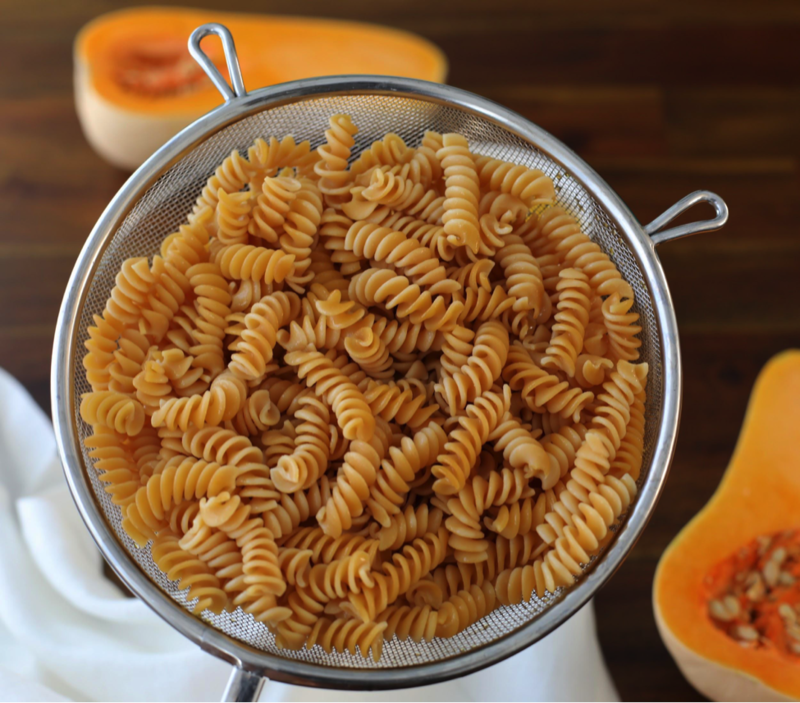 Each pasta is deliciously unique in taste and has an “al dente” texture. 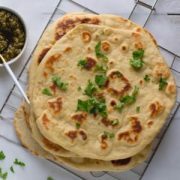 They also provide a good source of plant-based protein and an excellent source of fiber. My family does the holidays potluck style, and for some reason (maybe has something to do with the fact that I’m a dietitian), they always expect me to bring the vegetables. This “mac and cheese” was my latest holiday addition, and it was an absolute winner. It’s easy, creamy, flavorful and, best of all, good for you. 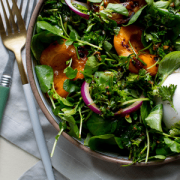 In addition to fiber and protein, it packs a powerful punch of healthy fats (cashews) and beta carotene (all those orange vegetables). Even my nephew who “hates” veggies scarfed this dish down with a quickness (to this day, he still doesn’t know what was in it…shhhh). Convinced? Cool, let’s move onto the recipe. Start by soaking 1.5 cups of raw cashews in 1 cup of water. While the cashews are soaking, chop butternut squash, carrots, sweet potatoes and onions. Next, add the veggies to a bowl and cover with 1/2 cup of water. Cook in the microwave for 15-20 minutes or until you can puncture the sweet potato and butternut squash with a fork. If you don’t have a microwave, you can steam the vegetables or toss them with one tablespoon of olive oil and roast at 400 degrees for about 30 minutes or until tender. Meanwhile, cook the entire box of pasta according to package directions (boil 4-6 quarts of salted water. Add pasta and boil for 7-9 minutes. Then drain.) Once the vegetables are done cooking, drain any excess water and add them to a high-speed blender (or food processor). Add the cashews into the blender, too (along with the water they soaked in), and then the nutritional yeast and spices. Blend until you get a smooth, creamy consistency. Now we want to know, have you tried a chickpea pasta before? Did you like it? Let us know in the comments below. We love hearing from you! Get some for yourself from Amazon! For more information about Barilla Legume pastas, visit http://www.barilla.com/legume. Add the veggies to a bowl and cover with 1/4 cup of water. Cook in the microwave for 15-20 minutes or until you can puncture the sweet potato and butternut squash with a fork. If you don’t have a microwave, you can steam the vegetables or toss them with one tablespoon of olive oil and roast at 400 degrees for about 30 minutes or until tender. Once the vegetables are done cooking, drain any excess water and add them to a high- speed blender (or food processor). Add the cashews into the blender too (along with the water they soaked in) and then the nutritional yeast and spices. Blend until you get a smooth, creamy consistency. Blend until you get a creamy consistency. Thank you for including non-microwave recipe directions. Can’t wait to try!